Our yoga classes our located in Beaverton Oregon, just minutes away from Portland and Tigard. Parking is available at our studio, drop-ins always welcome. For more information, see our general guidelines and FAQ, or call us at (503)626-3403. Hatha Yoga is the physical branch of RajaYoga (raja means “royal”), the ancient, systematic, and scientific, method of reaching super-consciousness or Self-Realization. 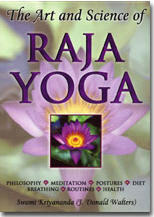 Classes in The Art & Science of Raja Yoga meet in the fall and the spring each year. Visit here to learn more and to register. Ananda Yoga Teacher Training is high-quality professional training; we think there’s none better. It’s registered with Yoga Alliance at 200 hours, so graduates can immediately become Registered Yoga Teachers (RYT®-200). Small classes at our Ananda Portland Yoga center means more individual attention for you. Learn and experience how to get pain relief and increase flexibility in weak or injured joints. Safely strengthen and stabilize problem areas and reduce the risk of back pain and posture problems. Our intermediate students develop a deeper understanding of asanas as a path to inner awakening by going more deeply into the practice of pranayama, energy flows, affirmations, and exploring adaptations for the more difficult poses.